Union Gospel Tabernacle | Goin' Mobile - Adventures of a Travelin' Music Junkie! (http://www.opry.com,) and a concert venue. Built in the late 1880s, (darn, that was a LONG TIME AGO!) this sacred place was originally a church – the Union Gospel Tabernacle – constructed under unusual circumstances. 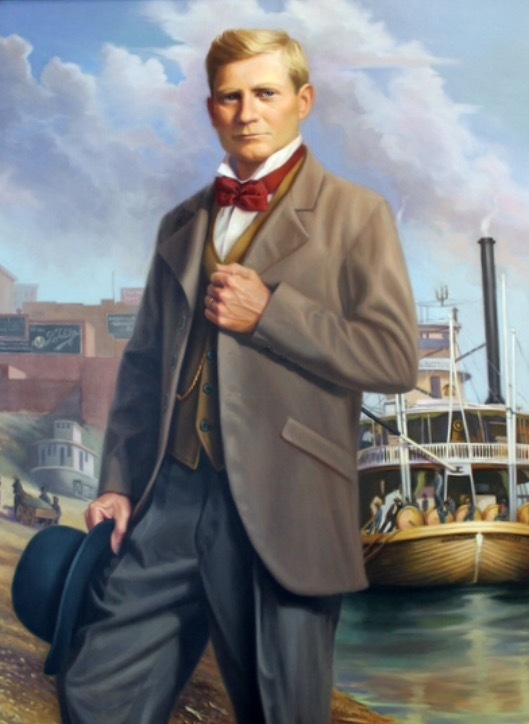 A wealthy steamboat captain named Thomas Ryman, who ran a fleet of boats up and down Tennessee’s Cumberland River, which runs right through Nashville, brought lots of business to local bars and liquor distributors. When his men were in town, they spent plenty of their earnings on wild good times offered in the city. Also, aboard Captain Ryman’s boats, which carried plenty of passengers and goods, a mighty fine time was had, drinking, dining, gambling and interacting with the dancing girls! Thus, the captain was a very successful and well-known businessman in town. 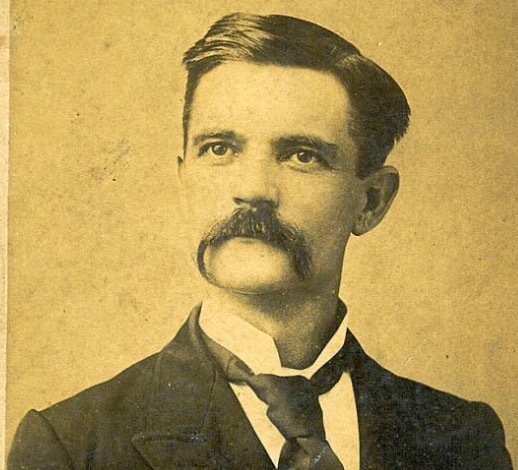 However, there was another man in town, Reverend Sam Jones, who was a fiery, charismatic preacher from Georgia, holding popular tent revivals all over the country during this time. Once a lawyer with alcoholic tendencies, and the grandson of Methodist preachers, Rev. Jones changed his ways and became a holy man himself. Not a big fan of strict religious doctrine, Jones believed more in living a clean, sin-free life of kindness and good. His message was simple: “Quit your meanness!” Having heard about Rev. Jones, and not pleased with his sermons on how alcohol, dancing, and baseball (amongst other things) were sinful and evil, Capt. Ryman decided to attend one of his tent revivals to raise a ruckus and make his disagreement known. However, something completely opposite happened! Instead, Ryman found salvation and was converted to a devout Christian! The year was 1885 and this was the beginning of a great turnaround for Ryman, Rev. Jones and the citizens of Nashville! Soon after, plans were in place to build Rev. Jones a great tabernacle so that his listeners would be protected from the ever-changing weather in Tennessee, and so that his voice would be projected loudly and clearly for all to hear. Seven years later, the building was complete, and was used for more than just revivals and worship. In order to pay off the debt of construction, the building was also rented out for other activities, such as speaking engagements, political rallies, community events, etc. And later, under the tutelage of Lula Naff (more on her later,) operas, ballets, symphonies, theatre performances, musical entertainment, boxing matches, and other various productions were booked at what was now renamed, The Ryman Auditorium. Many times over the years, Rev. Jones brought up his desire to change the name of the Union Gospel Tabernacle to honor his friend, the man who brought his vision to reality, Thomas Ryman. 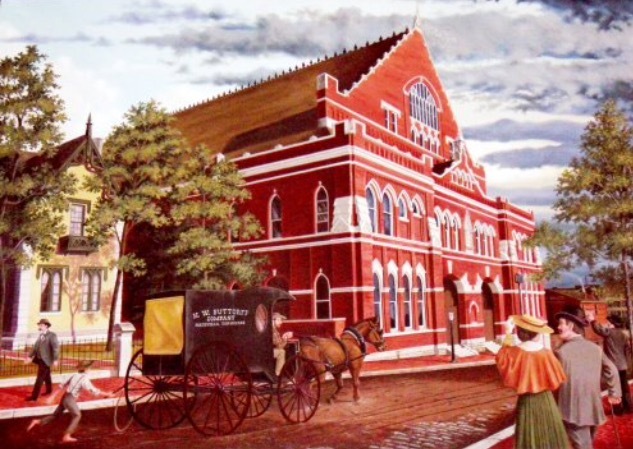 But, Ryman would not hear of it, so it wasn’t until his death in 1904, during his memorial service, that Jones made a proposal to rename the building after Ryman. He got his wish, as the attendees approved the idea overwhelmingly, and the name was changed. Sadly, Rev. Jones died just two years later, one day before his 59th birthday. It is believed that he preached to over three million Americans during his career. 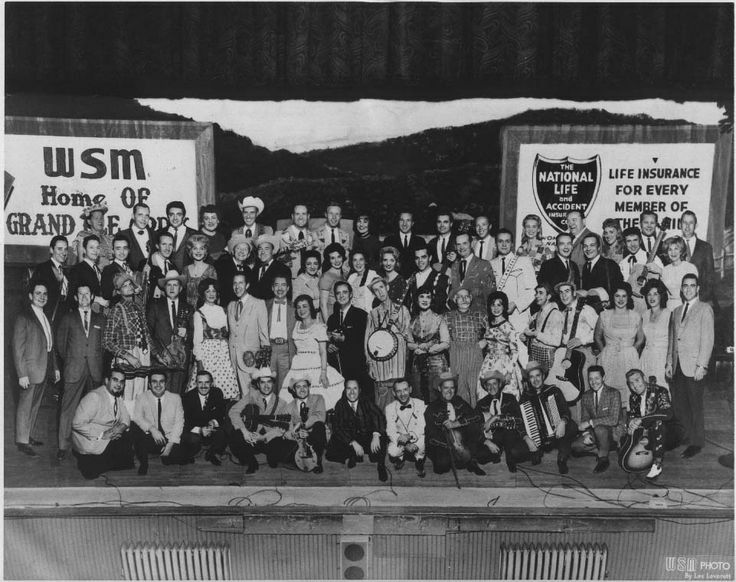 Over the next forty years, so many well-known people graced the stage, which was built in 1901, that the Ryman Auditorium became known as the “Carnegie Hall of the South!” Early entertainers, like Marian Anderson, John Philip Sousa, Ethel Barrymore, Charlie Chaplin, Roy Rogers, Harry Houdini, W.C. Fields, Bob Hope, Katharine Hepburn and Mae West, performed at the Ryman, as did a variety of speakers, including President Theodore Roosevelt. By 1943, there was a new show in town – a radio show that was getting too big for it’s britches – called The Grand Ole Opry. Needing a larger venue, it found it’s way to the Ryman, where it stayed for the next 31 years! Legends, such as Hank Williams, Minnie Pearl, Patsy Cline, Johnny Cash, and Elvis Presley graced the stage and the Opry became an international phenomenon, hosting the biggest country stars of that time! Nicknamed “The Mother Church of Country Music” by the locals, the Ryman is also known as the Birthplace of Bluegrass. When Earl Scruggs and Bill Monroe performed together onstage in December of 1945, a different kind of sound was born – bluegrass! first time! When it reopened, the next generation of performers yearned to play on the sacred stage that so many of their idols had stood in the past. Staying true to it’s reputation of diversity and variety, the Ryman hosted well-known talent of the day, from Aretha Franklin, ZZ Top, and Norah Jones to Boz Scaggs, Neil Young, and Sheryl Crow, to name a few. Many a star has recorded an album at the Ryman, and it has also been a popular venue for filming documentaries, videos and movies. It held memorial services for Johnny Cash, Minnie Pearl, Bill Monroe, Tammy Wynette, Chet Atkins and Waylon Jennings, and in November of 1999, saw the return of the Grand Ol’ Opry for the first time since it’s departure two decades earlier. It returns every November through January to pay homage to it’s humble beginnings and enjoy cozier, more intimate performances at the smaller venue during the off-season. This also allows the current home of the Opry to bring in large, holiday productions to its bigger auditorium.